Wat Buak Khrok Luang The old name was called the Wat Moung Kam. Didn’t know exact history of the construction. Assumed that the temple would be built about the reign of the fifth. 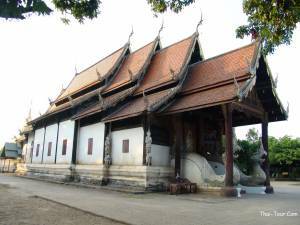 The wall in a temple is about history of Buddha and traditions of the Chow Thai Yai people.